See what’s inside in the April 2017 issue of Kayak. 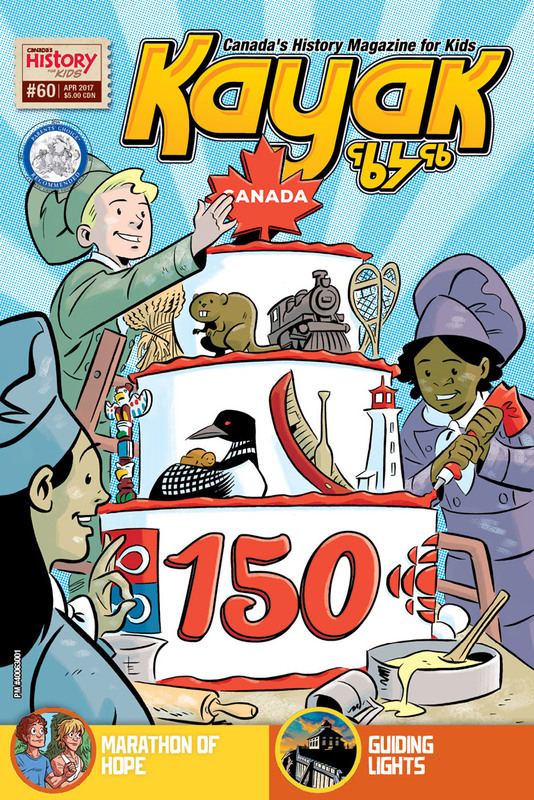 How are you planning to celebrate Canada’s 150th birthday? There will be parties, fireworks, parades, concerts and much more taking place from coast to coast to coast. We’re celebrating here at Kayak by giving you at least 150 awesome things about our country to talk about. We didn’t necessarily go for the big stuff, but we guarantee you’ll learn about some pretty cool people, places, things and events in this issue. Of course, we couldn’t possibly fit everything in, so we stopped at 150. (Well, about 150—maybe you’ll find more!) You can count up as you read. Just look for the numbers throughout the magazine. If we left off some of your favourite Canadian stuff, be sure to visit KayakMag.ca to tell us about it. We’ll have more in a special issue of Kayak being given away at celebrations all over the country this summer. Keep an eye out for it to find out more about how Canada came to be.